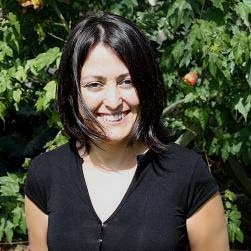 Yasemin Turan began her teaching career with elementary age children with hearing impairments in Turkey in the early 90s. In 1995, she took a nationwide exam and was awarded one of only two scholarships by the Turkish Ministry of Education to pursue graduate studies in the USA. She came to the USA as an international student in 1996 and received her Ph.D. in special education from University of Illinois at Urbana-Champaign (UIUC) in 2004.Dr. Turan worked as a Research Associate at UIUC for a year prior to coming to San Diego State in Fall 2005. Currently, she is an Assistant Professor in the Department of Special Education and coordinator of the Level I program in early childhood special education. Turan, Y., Erbas, D., & Kurkcuoglu, B. U. (in press) Turkish Special Education Teachers’ Reported Use of Positive Behavior Intervention Strategies: An Examination of the Variables Associated with Use. Journal of Positive Behavior Interventions. Erbas, D., Turan, Y., Aslan, Y. G., & Dunlap, G (in press). Attributions for problem behavior as described by Turkish teachers of special education. Remedial and Special Education. Drasgow, E., Lowrey, A., Turan, Y., Halle, J. W., Meadan, H. (2008). Peer-related social competence Interventions for young children with severe disabilities. In W. H. Brown, S. L. Odom, & S. R. McConnell (Eds). Social Competence of Young Children: Risk, Disability, & Intervention (p.p.273 299). Baltimore: Paul H Brookes. Erbas, D., Turan Y., Ozen, A., &., Halle, J. W. (2006). The effect of adapted "CoverWrite" method to teach spelling and word naming to students with developmental disabilities. Education and Training in Developmental Disabilities,41(4),357-364. Turan, Y., Ostrosky, M. M., Halle J. W., & De Stefano, L (2004). Acceptability of language Interventions: A comparison of preschool and elementary teachers’ responses. Journal of Early Intervention, 26, 221-233.